A bill that passed the Mississippi Senate makes it harder for people to sue businesses when a violent crime is committed on their property. MPB's Desare Frazier reports. The Landowners Protection Act says businesses that take steps to make their properties safe, would not be 100 percent liable, if a serious criminal act is committed on their property. Republican Senator Josh Harkin of Flowood says right now, when a criminal commits a serious crime, the victim can hold the owner completely liable for the offense. "What I'm trying to do is to provide some protection for property owners when they should not be held accountable for the acts of another individual that they didn't know, the didn't invite on their property and they had no idea they were going to commit whatever crime they committed," said Harkins. Harkins says even if a property owner doesn't take steps to keep his property safe, his liability wouldn't be 100 percent. The criminal would face the bulk of the liability. 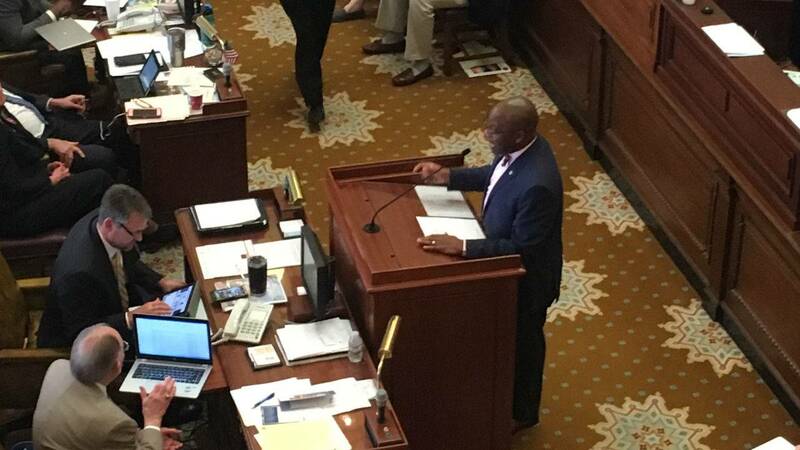 Democratic Senator Derrick Simmons of Greenville says right now businesses who make every effort to keep their property safe are seldom held liable. He wants language removed that would only make businesses liable if they're somehow involved in the crime. The bill would also require the criminal be convicted of a felony within three years, before an owner could be sued. "What this does is it basically raises the bar. It shifts the burden from the plaintiff over to a requirement where it grants immunity to the business owner. There is no way you can recover based upon the language in this bill," said Simmons. Simmons contends there would be no incentive for businesses especially those in higher crime areas to keep their property safe. The bill passed, with a motion that it can be brought up again in the Senate before it goes to the House.